HUDSON, NH -- The National Collegiate Development Conference is the only tuition-free junior hockey league located entirely on the East Coast. With minimal travel, a professional coaching staff, an intense daily training regimen and high-intensity, competitive games, the NCDC’s Northern Cyclones team is the perfect place for the elite athlete who expects to extend his career to the NCAA game beyond junior hockey. (NOTE: Spots are available from this camp for all Cyclones Junior teams). Description: Practice and games throughout the weekend. All-Star Game on Sunday morning. *Check-In on Friday at 4 p.m. at Cyclones Arena, Hudson, N.H.
Open To Boys and Girls - Tier-1 and Tier 2 National Bound - 4-5 Practices Per Week - Additional skills during the day 2-3 times a week - 60-70 Regular-Season Games - Full-Time Strength and Conditioning Coach - Video Analysis Classroom Sessions - College Placement Assistance - Full-Time Participation in Elite Tournaments and Showcases. Players attend Cyclones Academy Monday through Friday. The Academy is located at 7 Park Ave, Hudson, N.H. and is a fully supervised NCAA Approved Online High School Program. The Academy will operate with a block schedule allowing student-athletes the ability to incorporate on-ice skills sessions, off-ice workouts, team practices, and video analysis sessions. The student-athletes will be closely monitored by our full-time academic director and subject-specific tutors. The daily schedule will prepare the student athletes for the collegiate level on and off the ice. 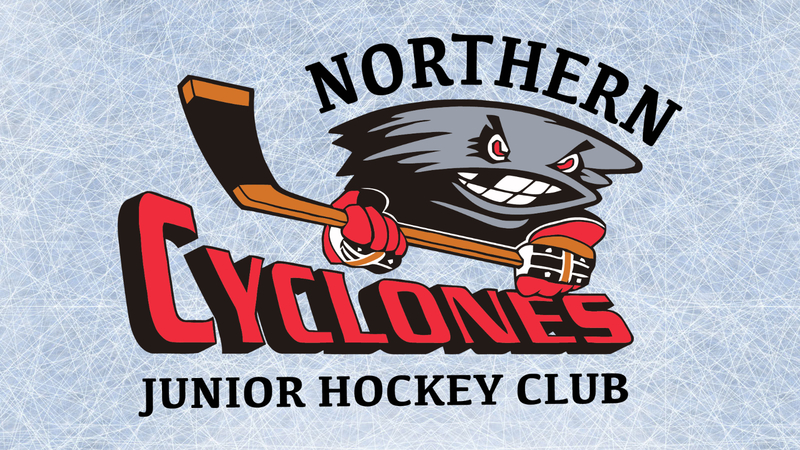 Information on all Northern Cyclones programs can be found online at NorthernCyclones.com!